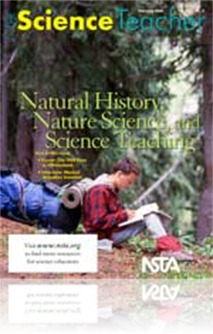 In the late 19th and early 20th centuries, nature-study was the most widespread orientation to science instruction in the nation’s schools. During the four or so decades of its existence, nature-study evolved to become both a common body of knowledge and a philosophical orientation to instruction. To some here at the dawn of the 21st century, the study of nature may seem antiquated, but nature-study, with its integrated content and surprisingly modern and synthetic method of teaching, should be recognized by teachers as a useful reference for instruction. This was a great article and really opened my eyes to this topic. Students are missing out on science that's all around them and they will learn more from the firsthand experiences than they ever will in the classroom.